♦ Mạng : 10/100/1000 Intel Pro. 56K.Port1394. ♦ Mạng không dây : IEEE 802.11 B/G/N. The speed you need - Windows 10 starts up and resumes fast with InstaGo9 so there’s no buffer between you and your to-do list. Even your updates reach you as soon as they are available so you always have the latest and greatest features that are built to keep up with your on-the-go lifestyle. Thin and light for mobile productivity: Introducing Dell’s thinnest and lightest mainstream laptop yet. With up to 14.5 hours of battery life with the optional 4-cell battery, you can stay productive wherever your work takes you with the Dell Latitude 14 5000 Series. Full features for business professionals: Get the latest generation of Intel® Core™ processors, optional backlit keyboard, and the most options of ports, storage, connectivity and displays of any Latitude. Premium design for a premium experience: Experience impressive beauty and durability with magnesium alloy LCD display options. The world’s most secure business laptop is now thinner, lighter and packed with features to help you get more done. Thoughtfully created for business professionals. 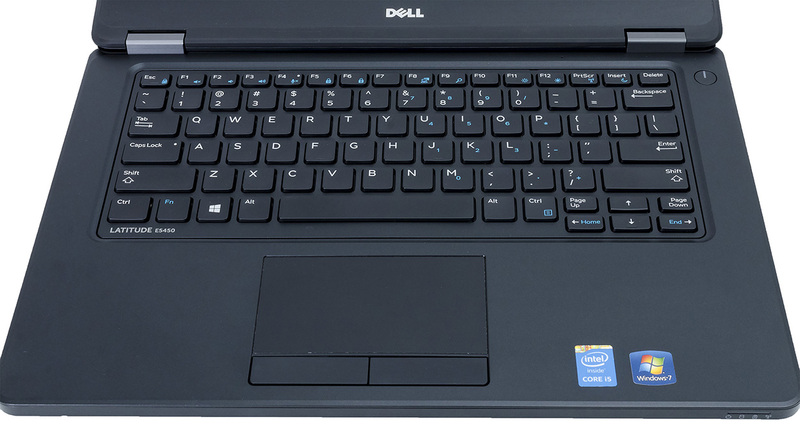 Durability you can depend on: Your Dell Latitude 14 5000 Series is built to last, with spill-proof keyboard and vigorous anodized hinge solution, plus an optional structure enhanced Magnesium display cover for touch models. Elite connectivity experience: With the Dell Latitude 5000 Series, choose from existing E-dock family docking solutions or the new Dell Wireless Dock, which provides seamless high-speed wireless docking through Intel® WiGig technology powering up to two external displays, keyboard, mouse, audio and other peripherals for a desktop free of wires. Also, Intel® Pro Wireless Display technology (Intel® Pro WiDi) allows users to connect wirelessly to projectors and displays with the security and configuration capabilities IT requires. Open wide: Collaborate in a snap with an anodized 180-degree hinge solution that allows you to open up your laptop, and lay the monitor and keyboard flat on any surface. The world’s most secure business laptops: Only Dell offers comprehensive encryption, leading authentication and leading-edge malware prevention from a single source. Dell DDP|E protects your data across all endpoints, including external media, self-encrypting drives and in public cloud storage. DDP | Security Tools offers advanced authentication options to help you keep unauthorized users out of your data. Dell takes a new approach to malware prevention by protecting your data and users from all untrusted content with DDP | Protected Workspace. 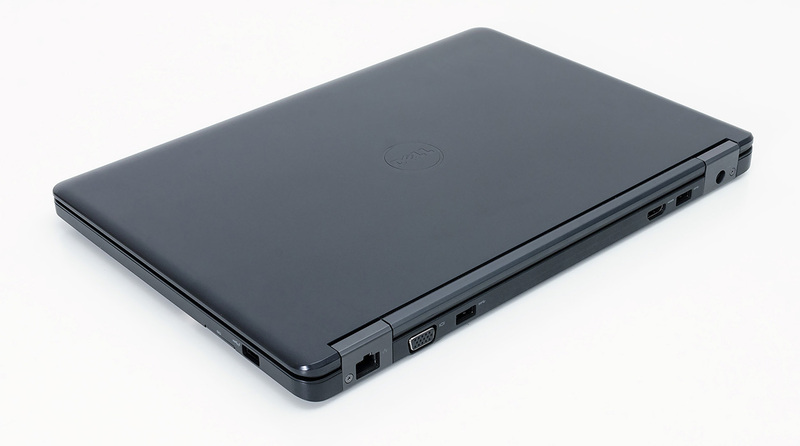 The most manageable business laptops: Dell Latitude laptops are the world’s most manageable with Dell-unique vPro capabilities for one-to-many, remote BIOS updates and hard drive wipe. Superior management is a must, so increase efficiency by reducing time spent on manual and error-prone tasks through the new Dell Client Command Suite – our free automation tools to lower IT costs. 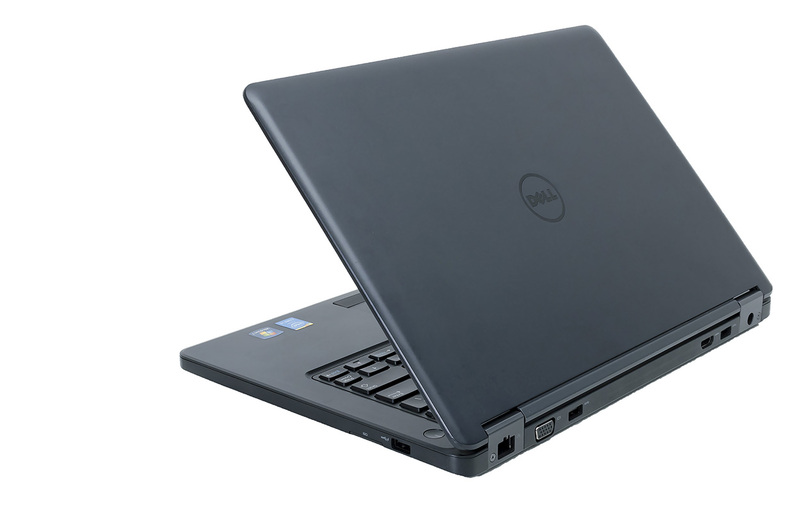 Outstanding reliability you can trust: More durable than its predecessor, and part of the most durable laptop family, the new Dell Latitude 14 5000 Series undergoes extensive testing to ensure it can survive your everyday workday, and features premium materials like enhanced hinge structure and optional magnesium alloy. Enjoy a consistent experience with E-Family docking and common power adapters for the 6th generation of Latitude. Plus, they’re backed by enterprise-level service and support for peace of mind. Upgrade to ProSupport Plus – the only complete support that combines proactive resolution, automated prevention and protection for PCs and tablets. We’ve got your business covered.